"...Our structural foundation & building inspections are done in strict accordance with Texas ASCE guidelines. 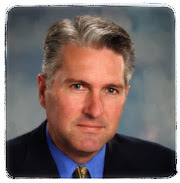 Having completed 1,000 + structural & forensic investigations statewide, our engineers are among the most respected in the business..."
Structural Inspections. What are they? A structural inspection checks the "health" of a building's structural systems. Local soil characteristics, building performance history, and site storm drainage conditions all play a role in diagnosing building system structural defects. Prescribing proper structural repairs requires knowing the precise nature of building defects. "...Repair costs for home and building structural foundation systems have skyrocketed in recent years. 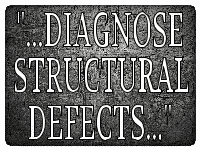 Structurally defective home and building systems can diminish the value of an otherwise marketable asset..."
Structural Inspections. Why get one? 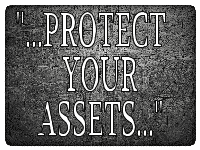 "...Peace of mind is by far the most frequent reason for getting a structural inspection. Properly done, a structural inspection can reveal a building's hidden performance issues before they become costly structural failure problems..."
"...Our principal engineers have years of actual structural forensic and expert witness testimony experience in various legal forums across the State of Texas..."
Lineberger Consulting Engineers. Why hire us? 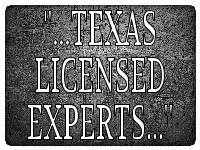 "...We are Texas licensed. Our engineers are among the best and brightest in the business, each having testified as experts in various Texas legal forums. Structural inspections and building investigations are our specialty..."
"...Credible structural analysis and defect diagnosis require advanced levels of education, training and experience. Our engineers have decades of actual forensic, civil, geotechnical, and structural engineering professional practice experience..."
What qualifies a Texas licensed engineer to inspect a structural foundation system? “...Engineers are required to practice only in their area(s) of competence. However, very few Texas licensed engineers possess the education, training and experience to competently perform structural foundation and building inspections..."
In practice, it takes many years for engineers to gain the requisite experience and skills to properly inspect structural foundation and building systems. Hiring an inexperienced licensed engineer to check the health of your home, office or building foundation system can have far reaching economic implications. Can you really afford a "do-over"? ABOUT TEXAS LICENSED PROFESSIONAL ENGINEERS. According to the Texas Board of Professional Engineers, “There is no requirement in the Texas Engineering Practice Act to practice engineering only in the area that engineer was tested for during the Principles and Practice exam”. The bottom line? “…All engineers are required under the Act to practice only in their area(s) of competence…” Its as simple as that. Most practicing engineers consider structural engineering to be a sub-specialty of civil engineering practice. This is because civil and structural engineering overlap in many of their technical aspects. Still, structural engineering may be considered a stand alone profession in its own right. Structural engineers commonly design buildings and large non-building structures. They also design machinery, medical equipment, vehicles, or any item where structural integrity affects the item’s function or safety. Structural engineers must make sure their designs are safe, serviceable, and perform as intended. Structural engineering is based upon scientific theory and practical experience. A structural engineering design often combines several simple structural elements to create complex structural systems. Structural engineers are licensed or accredited by different regulatory bodies around the world. In Texas, the Board of Professional Engineers governs the practice of professional engineering. 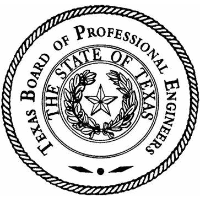 The Texas board considers all engineers to be professional engineers, regardless of whether they are Civil, Structural, Mechanical, or some other type of engineer. A licensed engineer may practice in the area for which they are qualified by education , training, and experience. A Texas professional engineer may choose to formally register up to two specialty practice areas with the board. However, this registration of up to two specialties is not mandatory and does not prevent an engineer from practicing in the multiple specialty areas for which they are qualified. Structural Engineer Inspections & Reports by Texas Licensed Engineers 30+ Years Experience. Fast, Reliable, Accurate. Residential, Commercial, Industrial.Structural Engineer Foundation Inspection. This entry was posted in By Jeff Lineberger, P. E.. Bookmark the permalink.